The Hawthorne Derby (GIII) may have taken a year off, but it returned this year with a full and competitive renewal. Twelve three-year-olds saw the starter for this nine-furlong test. When all was said and done, it was Woodbine invader Lucky Lindy who made his first race away from his home base a winning one. 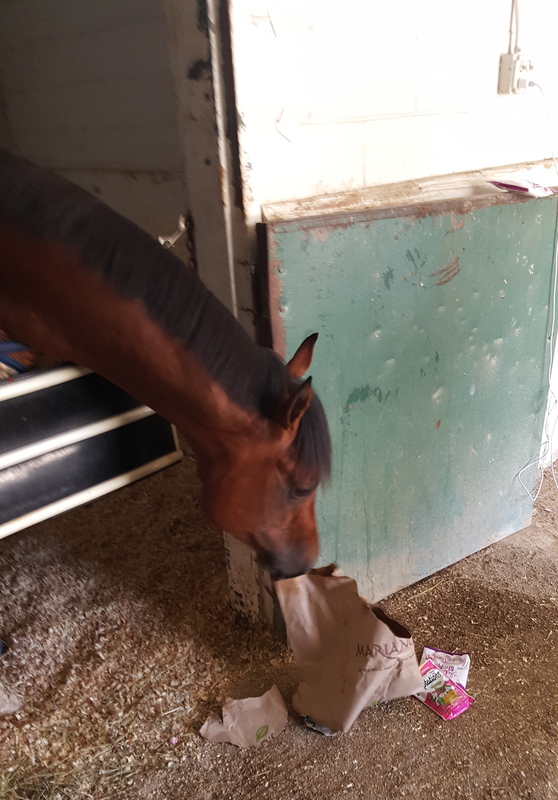 On Friday, Lucky Lindy prepares for the Hawthorne Derby by destroying a bag full of peppermints and cat treats. Head over to Picks and Ponderings, and relive today’s exciting and competitive renewal of the Hawthorne Derby!